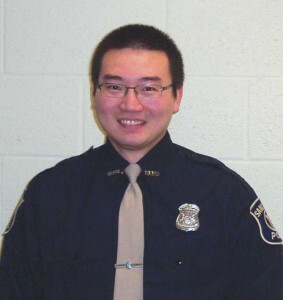 The Sand Lake Police Department recently added a new part-time officer to its ranks. Chih-Han (Jack) Liao was sworn in on February 23. He graduated from Michigan State University with a Bachelor of Arts Degree in Economics and is a graduate of the Mid-Michigan Police Academy. According to Sand Lake Police Chief Ken Williams, the addition of Liao brings the number of officers in Sand Lake back up to 5. Laio replaces a former part-time officer who left for a full-time position.